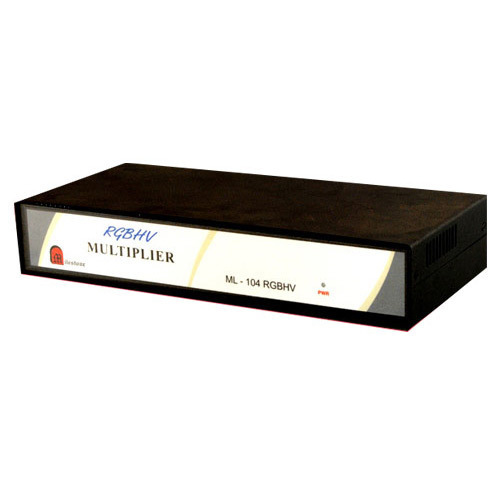 Manufacturer of a wide range of products which include rgbhv multiplier, vga multiplier, vga audio multiplier and vga multiplier. We being a top notch organization of the industry, we have come up with a broad and quality approved collection of RGBHV Multiplier. These provided products are manufactured in tune with the guidelines set by the market using best available raw inputs and sophisticated techniques. Moreover, we check these on multiple grounds before finally shipping them at the doorstep of our customers. Our organization has gained recognition as a flourishing organization for providing VGA Multiplier. The offered multiplier is manufactured using optimum quality components and cutting edge technology by our skilled professionals. 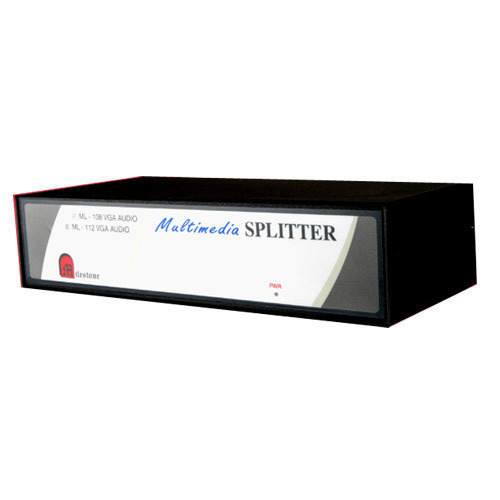 Extensively used in public broadcasting and stock market information, this multiplier is availed in various specifications and designs. Moreover, clients can avail this multiplier from us at pocket friendly prices. Simultaneous Monitor / Projector / Plasma displays. 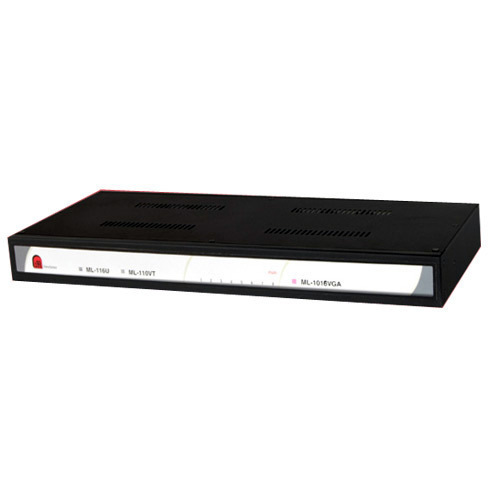 Compatible to Multisync, SVGA, VGA & EGA Monitors, LCD/DLP VGA displays, projectors & Plasma. 1 PC to 2/4/8/12 VGA output with ability for daizy chain for multiple no. of Monitors. Transmission distance 150 meters for individual outputs. 1 VGA Input & 2 VGA Outputs. 1 VGA Input & 4 VGA Outputs. 1 VGA Input & 6 VGA Outputs. 1 VGA Input & 8 VGA Outputs. 1 VGA Input & 12 VGA Outputs. 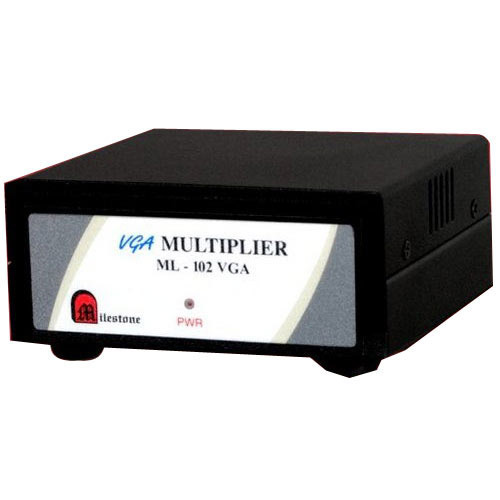 We have in-store for our honored customers a vast collection of VGA Multiplier. Precisely designed as per the latest market trends and developments, our offered multipliers are hugely acknowledged amongst our customers. Additionally, we offer these products in a variety of technical stipulations to match up with the needs of our customers in the most efficient manner. Minimum /Maximum Level Analog: 0.4V to 1.4V P-P with no offset at unity gain. In order to attain maximum satisfaction of our customers, we have brought forth a world class collection of VGA Audio Multiplier to our clients. Highly accredited and acknowledged for their features including longer working life, simple installation, elevated performance and customer-friendly nature, these provided multipliers are highly accredited. Also, we check these on different aspects before final dispatch at the door of our customers. ML102VGAA 1 Input VGA along with its Audio & 2 Outputs of VGA along with its Audio. ML104VGAA 1 Input VGA along with its Audio & 4 Outputs of VGA along with its Audio. ML106VGAA 1 Input VGA along with its Audio & 6 Outputs of VGA along with its Audio. ML108VGAA 1 Input VGA along with its Audio & 8 Outputs of VGA along with its Audio. ML112VGAA 1 Input VGA along with its Audio & 12 Outputs of VGA along with its Audio. ML116VGAA 1 Input VGA along with its Audio & 16 Outputs of VGA along with its Audio. 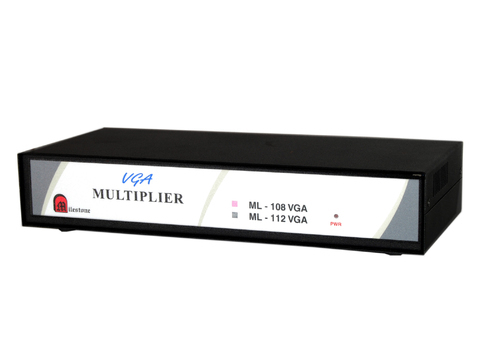 Milestone's VGA Multiplier is a unit whereby you can send your PC's VGA output to as many as 2/4/8/12/16 monitors with ability for daisy chain for multiple monitors. This unit is ideal for your presentation to reach wide audience at a distance of 150 meters away & many more application. 1 PC to 2/4/8/12 VGA output with ability for daisy chain for multiple no. of Monitors. 1 VGA Input & 16 VGA Outputs. Looking for “VGA and Audio Multiplier”?